Easily one of the most improved teams in the league from last year. Coach Mike Leary has several high level players who led a team that is hungry and plays hard. 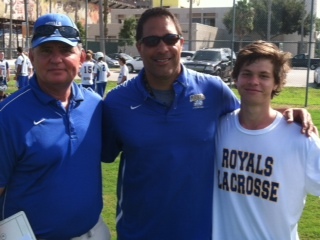 The skill set of their lefty attackman caught our eye. New head coach Charlie Battaglini has this group poised to surprise both now into the future. Goalie Nick Connor has returned after a productive off season and looks ready to emerge as a strength in the cage. The attack led by Brett Forward and freshman Jason Sullivan are highly talented. 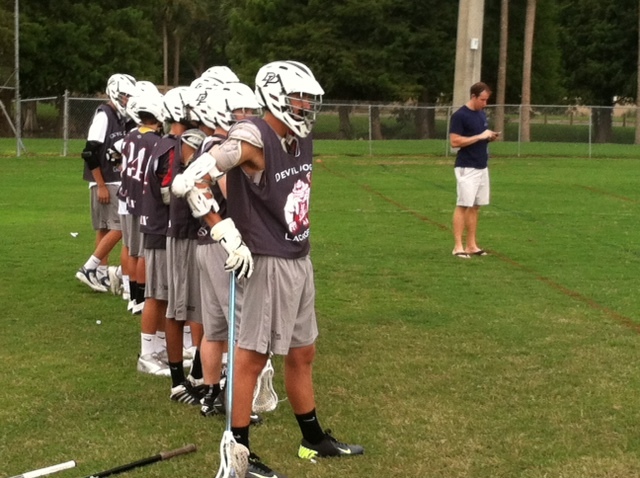 Sophomore defender Jackson Pliska leads a young but up and coming defense. 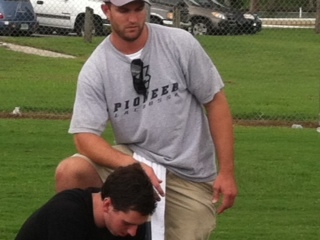 Coach Andrew Hochheimer brings a wealth of experience to this team and it is showing right away. The Flame has several advanced players and a nice combination of large and athletic players. You can tell the fundamentals are being taught to this group and it is only a matter of time before they start to make an impact. 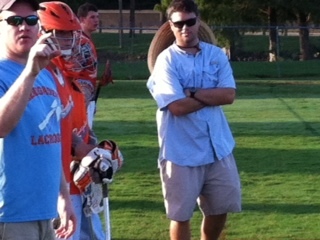 Coach Bill Baker always produces teams that improve greatly over the course of the season. He is working in a number of new younger players with a talented core of returning players that include attackman Nick Poidami and Blake Angione along with middies Logan Dyer and Bailey Sarp. Defender Trenton McGree is one of top defenders in the area. The Mohicans feature a nice blend of experience and talented youth that has moved up from their feeder program. 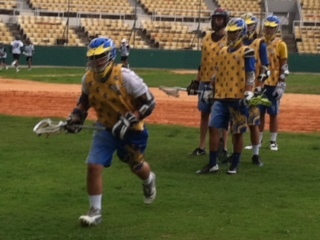 The entire returning defense of Alec Quint, Evan Griffiths, Zach Nash, and goalie Chandler Harrison anchor the team. Senior Josh Marmetschke showed well along with Garret Gile who moved from midfield to attack this year. The three headed monster face off crew of Chris Masten, Kevin Sande, and Connor Carbone is a real strength for the team. This team might be the most improved from last year and definitely is ready to play at high level. 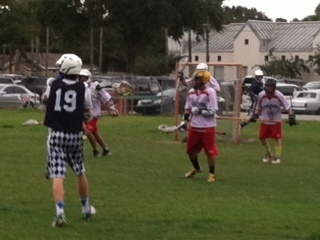 Goalie Joe Kissick anchors a large and athletic defense. 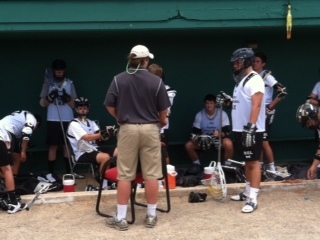 Coach Elliot Whitton has this group organized and playing solid team lacrosse on both ends of the field. Face Off Man Griffin Broeker proved to be one of, if not the top, at his position over the course of the day. 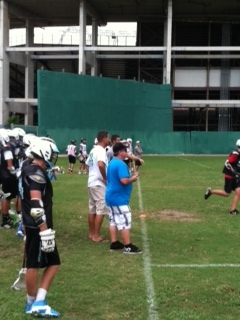 He may not look it but Renegades Coach Whitton is pleased with his team and the Bama victory! 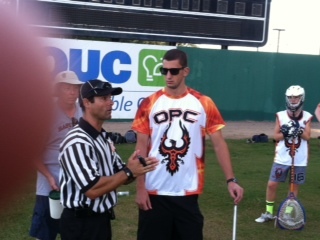 Doug Kuhblank’s squad is new to the IML Fall League but mixed in smoothly. As a new club they are ahead of the curve in organization and team unity. We expect them to impress as the league continues. The team is also involved in a a major community service project that will detail in our next report. The IML welcomes the Rowdy Gentlemen to the league. 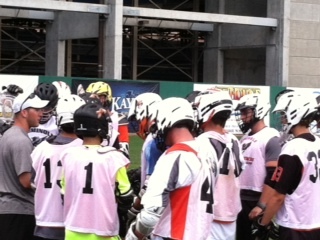 Coach Austin Ricci has done a great job of quickly molding this group into a cohesive unit. Goalie Truitt Dill along with defenders Nick Smith and Jeremy Gilinski-Boyd will work with middie and face off man John Michael-Knight to provide the RGs a nice core to build off of as they develop. Maybe the most impressive team of the day, the Royals return a core of highly talented players along with some younger players who have matured. The leadership of goalie Austin Cotton along with the play of Jordan Rapport, Deacon Schrimsher, Luke West, Lane Artope, and Ryan Lawerence will have them in every game. Led by experienced seniors Brandon Schuh and Brandon Boss the Scorpions are as organized and prepared as they have ever been. 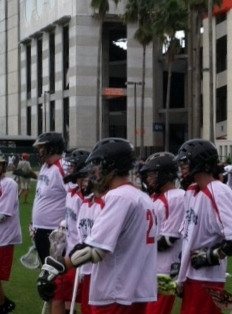 This group represents the rapidly growing Lake County area in regards to lacrosse growth. 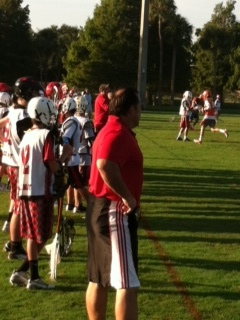 Coach Mike Zielonka has good numbers, enthusiasm, and a ton of youth to build on. Coach Billy Walter is doing a great job of getting this group going despite a coaching change going into the Fall. They have several impressive players including an X attackman who demonstrates excellent abilities to quarterback the offense.The Spartans have good numbers and are one of the more vocal teams in the league as they are pumped up for every game. Personal note, their uniforms are maybe the sharpest in the league. 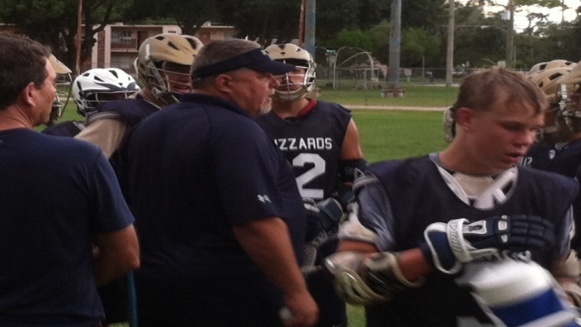 New coach Reed Reynolds has the Swarm playing with a great attitude and effort. 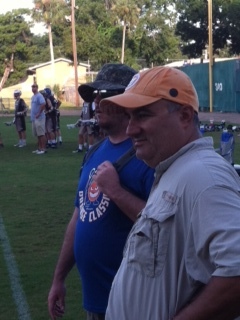 Returning stalwarts Charlie Moran, Gary Bitz Jr., Sean Toor, and transfer James Duhon are leading the charge. The team performed well overall as it blended a number of younger players in with veterans throughout the day. Coach Reynolds will be running a team speed clinic on October 5 during the day. Contact him at for info. The youngsters of the last two years are all grown up and ready to lead this team to their best year ever. Coach Mike Von Kamecke has them playing together within sound principles. Add the talent of Josh Williamson, Ryan Ormerod, Aiden Collins, Kolby Martinelli, Alex Proly and Heath Rivers and you have a nucleus for a team that can play with anyone. 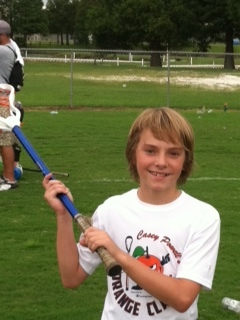 Future Scorpion, 8th grader Robert Ernst, let's us know he is ready right now for next year!